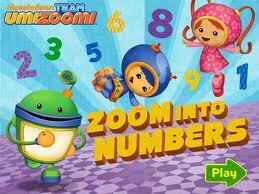 Based on the popular preschool focused PBS show, Super Why! is a learning app that will teach your child to read without them realizing they’re learning. They'll be having too much fun. Help your child achieve the Power to Read with this collection of four SUPER WHY interactive literacy games. Your child can play along with each of the four main characters from the TV series: Alpha Pig, Princess Presto, Wonder Red, and, of course, Super Why, while practicing the alphabet, rhyming, spelling, writing and reading. Super Duper! Alpha Pig’S Lickety Letter Hunt - Help Alpha Pig find his way home by identifying the letters he needs to follow the alphabet path. That’s Alphabet Power! Princess Presto’s Wands-Up Writing - Help Princess Presto make objects appear by identifying letter sounds, tracing letters on the touch screen, and writing words. Spectacular Spelling! Wonder Red’s Rhyming Time - It’s time to rhyme! Help Wonder Red find the rhyming words missing from her Wonder Words Basket. 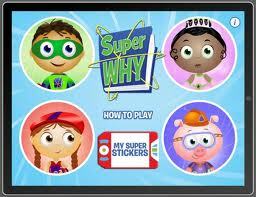 Super Why’s Story Saver - Super Why...to the rescue! Help Super Why save the day by selecting words to complete sentences that fit the story. Learning Rewards - Collect virtual stickers along the way and decorate a “sticker book” with over 50 items. Each game teaches fundamental math concepts critical for preschoolers: identifying numbers; one-to-one number correspondence; rote counting; reading number symbols; associating symbols with quantity; and basic addition and subtraction. Games are leveled, and designed to increase in difficulty. Appropriate hints are provided to support your child as they practice and build their math skills. Children will also earn badges and trophies through out the game. These badges and trophies are tracked in Team Umizoomi’s Headquarters and earning enough badges and trophies will grant kids a special key to Umi City!